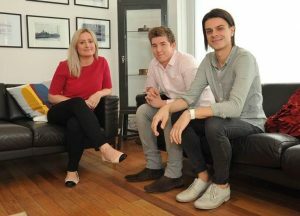 Cheshire-based The IF agency has appointed three new members of staff. New senior account manager Myke Hamilton joins from gyro Manchester and will be looking after accounts including Chef & Brewer, Knowsley Safari and Scapa Group. Account manager Laura Jones has moved from M3 Communications and will be overseeing accounts including Fayre & Square, Wacky Warehouse and Aqua Pura. The final new member of the team is Matthew Austin, who joins as a senior account executive. He joins from We Are Result and will be working with Knowsley Safark, Kevin Glancy and The Little Treats Co.
All three new starters will report into Stuart Hornby, IF’s client services director. Christian James, managing director at IF, said: “The last year has seen a positive transition for the agency following the successful restructuring of our core services and the launch of our data division.